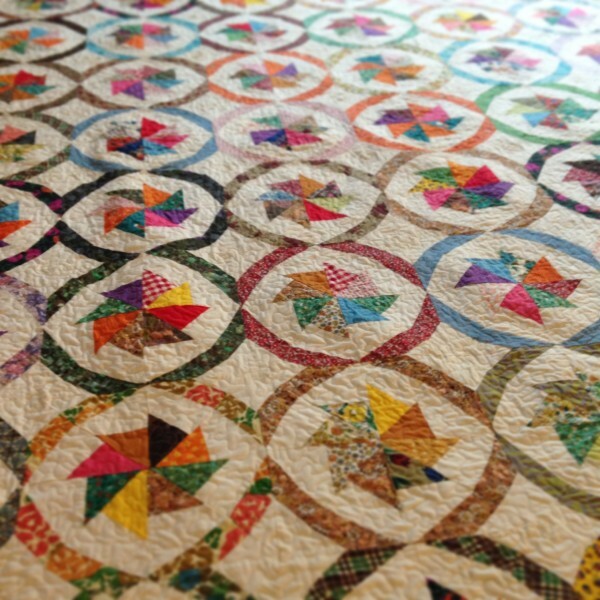 Vintage Quilts have always been a favorite thing. Especially the really old ones, all worn, soft, and full of imagined stories about the women (or men) who made them. 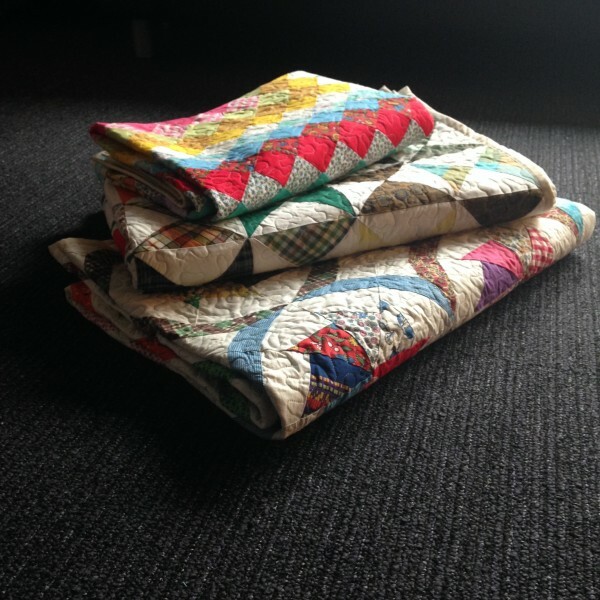 You may have noticed that I’ve recently started listing Vintage Quilt Rescue Quilts in the shop. This all came about because I was contacted by someone who wanted me to finish some quilt tops that her great-grandmother had made. Normally I never take in quilt tops to finish, either new or vintage, but I was curious and asked her to send me some images of what she had. I was blown away! Here were quilt tops, made as early as the 30’s, some of them were hand cut and hand sewn (this was the days before rotary cutters, people! ), and they were perfectly preserved with brilliant colors and fine stitching. After some discussion, we decided to go ahead with the project and she sent me the quilts, from California, and I finished three very beautiful quilt tops for her. Imagine, all those years she held onto these precious family heirlooms and only thought about having them finished. I sent them back and she was thrilled. 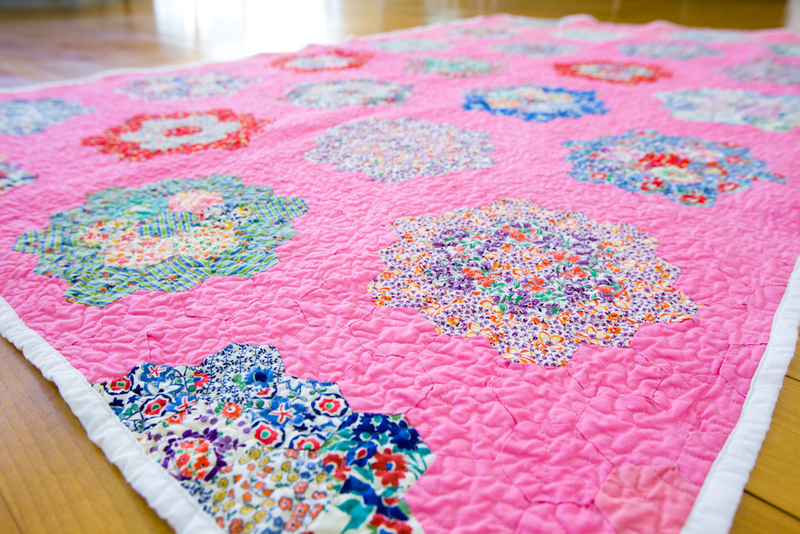 The circle was complete and the quilts were whole and completely transformed! After this experience, I was completely hooked! Scouring nearby vintage shops, and searching on-line, I came across several unassuming (and unfinished) quilt tops and purchased them. It’s great to feel complete and utter inspiration with a new discovery, and I quickly worked on the new tops, repairing small holes and seams that had let loose, choosing fabric for the backs, and getting them on the frame to quilt. This pink grandmother’s garden quilt was the first. Now, I’m not a pink girl… AT ALL… but I saw this top and saw its potential and took it home. 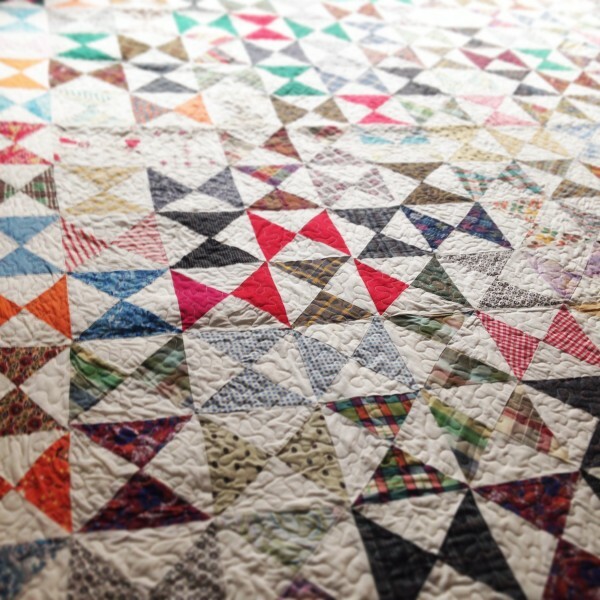 Thus started my fascination, obsession, and love for all things antique quilts! The older and more neglected, the better. 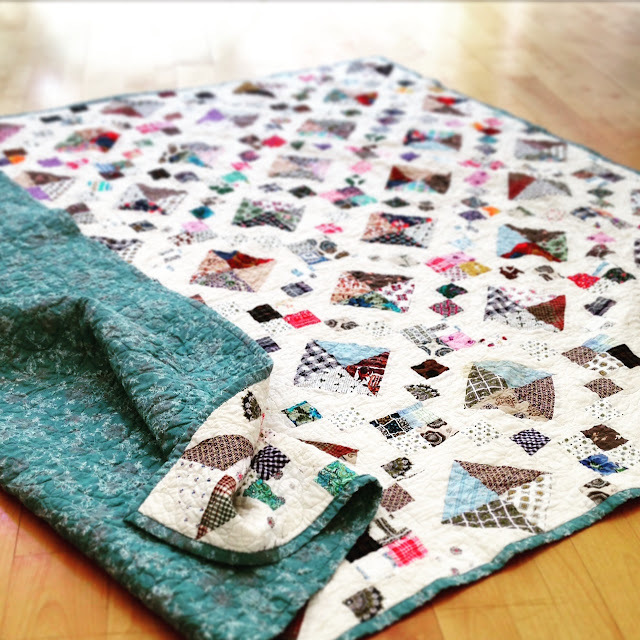 Such lovely things happen when a long forgotten and abused vintage quilt top comes to life. I feel like they are all just waiting for their chance to become “real” in the world. They are waiting for their chance to be loved and held, and cuddled. After all, isn’t that what the first intentions were when they were created? In the end, it’s all about being loved and feeling complete that makes us all so happy. 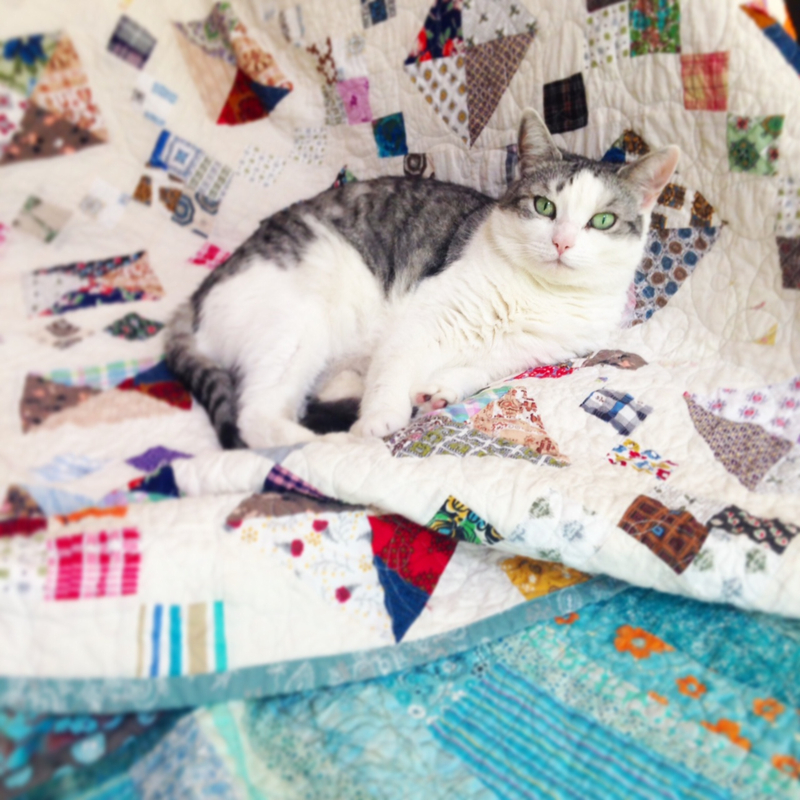 Isabella claimed this quilt first! We are keeping it! I fell totally in love with this quilt top. It is now in my personal collection. To see all the Vintage Rescue Quilts that I have available for sale, check out the shop under Vintage Rescue Quilts!